A review of the odontaspidid shark Carcharoides AMEGHINO 1901 (Lamni-formes, Odontaspididae) in the Chattian and Rupelian of the North Sea Basin, with the definition of a neotype of Carcharoides catticus (PHILIPPI, 1846) and description of a new species. Reassessment and revision of the fossil Heterodontidae (Chondrichthyes: Neoselachii) based on tooth morphology of extant taxa. Marquet R., Lenaerts J.& Laporte J.
Reinecke T. & Radwański A.
Fossil sharks and batoids from the Korytnica-clays, early Badenian (Langhian, Middle Miocene), Fore-Carpathian basin, central Poland. A revision and updated record. 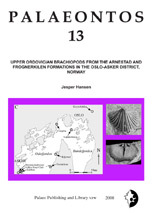 Reinecke T., von der Hocht F. & Dufraing L.
Fossil basking shark of the genus Keasius (Lamniforme, Cetorhindiae) from the boreal North Sea Basin and Upper Rhine Graben: evolution of dental characteristics from the Oligocene to late Middle Miocene and description of two new species. Taverne L., Maisey J.G. & Capasso L.
Reinecke T., Balsberger M., Beaury B. & Pollerspöck J.
Taverne L. & Capasso L.
Hovestadt D.C. & Hovestadt-Euler M.
Goret B., Ledon D., Pons J.
Bor T., Reinecke T. & Verschueren S.
Reinecke T., Louwye S., Havekost U. & Moths H.
Stein G., Moths H., Albrecht F.,Havekost U. & Fehse D., 2016. Landau B., da Silva C.M. & Mayoral E.